British professional boxer is right back at the heart of the global heavyweight scene once more. Having taken a couple of years off due to a shoulder injury, he is now linked up with young and exciting coach Shane McGuigan and is working his way back through the rankings to try and earn a title at Anthony Joshua’s IBF Heavyweight crown. He is doing so on his own terms, with his own promotional outfit, called Haye Day, and is doing so on free to air television channel Dave. His last fight was Dave’s most viewed ever programmed with more than 2.5 million people tuning in to watch the former cruiserweight and heavyweight world title holder. In his time Haye has fought the likes of Wladimir Klitschko, Derrick Chisora and twice pulled out of fights with Tyson Fury. He won his WBA world title off Nikolai Valuev in 2009, a giant Russian, having already picked up the cruiserweight belt in previous years. 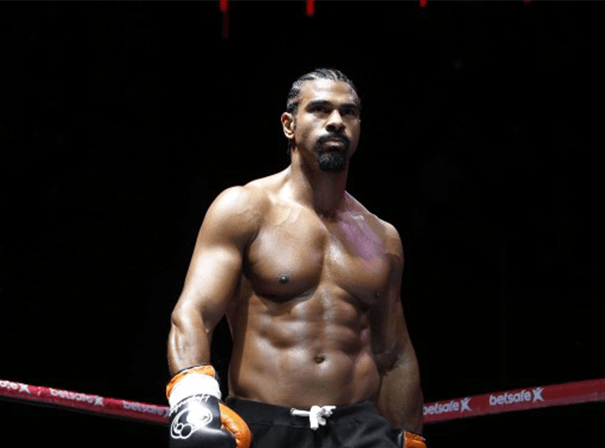 One of the best boxers of his generation without a doubt, Haye has an unorthodox style that relies on his great speed, power, footwork and athleticism. Along with Evander Holyfield, Haye is one of only two boxers to have unified the cruiserweight world titles and become a world heavyweight champion. Because of his hard punching power he is nicknamed The Haymaker, and in all he has beaten no fewer than six world champions. David remains a hugely popular sportsmen and great entertainer who is a regular on UK TV, radio and at public events.